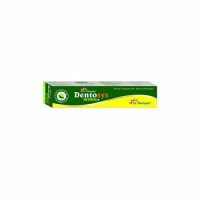 It is used to reduce Joints Pain, Backache, Muscular Sprain, Stiffness of Joints, Sciatica. Pack Size : The strip contains 30 capsules. 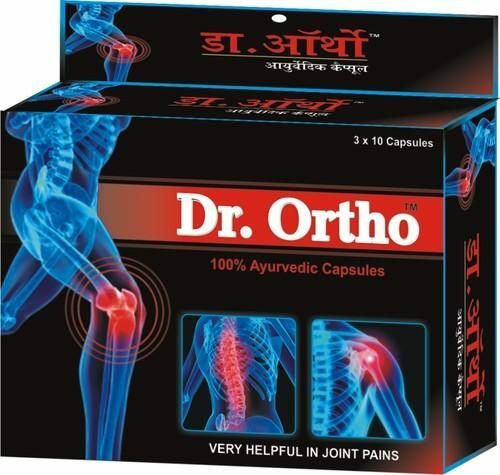 DR. Ortho Capsule is an Ayurvedic Joint Pain Relief Medicine which is used to cures Joints Pain,Swollen Joints,Inflamed Joints,Strain (Over Stretched muscles),Old Age Arthritis,Rheumatoid Arthritis. It provide relieves from Low Back Pain, Sprain,Painful Muscles, Neck Strain. The product contains : Boswellia Serrata, Commiphora mukul, Pluchea Lanceolata, Trigonella foenumgraecum, Zingiber Officinale, Withania Somnifera and Purified Asphaltam. boswellia-serrata is also known as khunduru and has anti-inflammatory activities, wound healing and antimicrobial activity. In Boswellia active compounds boswellic acid are found which have inhibitory action on the inflammatory process. Thus, Boswellia Serrata is a unique and highly effective herb in pain management. Commiphora-mukul this herb has been widely accepted to get relief from various pains. It is also act as blood purifier and promotes the production of red blood corpuscles (RBC) and improves the action of white blood corpuscles (WBC). Thus benefits in improved functioning of joints, muscles and bones. pluchea-lanceolata this herb pacifies the Vatta and helps in relieving from various pains. Rasna also posseses antipyretic properties.In addition, Rasna also improves the metabolism and benefits in removal of toxic substances from the body. trigonella-foenumgraecum is also known as Fenugreek and is a rich source of various nutritional and medicinally important molecules. Methi has very good capabilities in binding with the toxin substances present in the colon and their removal from the body. zingiber-officinale herb has remarkable properties in relieving from various body pains such as knee pain, joint pain, back pain etc. This herb helps in relieving from joint stiffness by improving blood circulation. withania-somnifera is popularly known as Ashwagandha. It has remarkable and effective role in anti-inflammatory activities. It also benefits in strengthening nervous system and muscular co-ordination. It helps in relieving stress and rejuvenates the brain for proper functioning of the body thus helps in making body strong and active. Purified-asphaltam is also classified as Rasayan in Ayurveda and benefits in many folds. 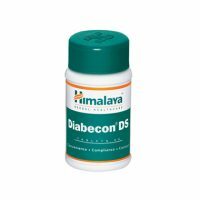 It has anti-inflammatory activities and improves overall functioning of the body. Shilajit benefits in aches and pains. strychnos-nux-vomica herb is useful in improving digestion and removal of toxic substances. It also strengthens the nervous system and muscular coordination, thereby helps in strengthening of muscles, joints and bones. Take 2 capsules twice a day with warm water or milk or as directed by the physician. Capsules eat for at least 21 days for effective results.